ISLAMABAD: Polio eradication is high on the health agenda of the new government said Federal Minister of National Health Services, Regulations and Coordination, Aamir Mehmood Kiyani during a briefing at the National Emergency Operations Centre for Polio Eradication. Besides others, the meeting was attended by the secretary and director general Ministry of National Health Services, representative of armed forces as well as the country heads of WHO, Unicef, NSTOP and BMGF. “Pakistan has made remarkable progress in protecting every child from this devastating, yet vaccine preventable, disease. The nation has reduced the number of polio cases from almost 20,000 every year in the early 1990s to only eight last year. 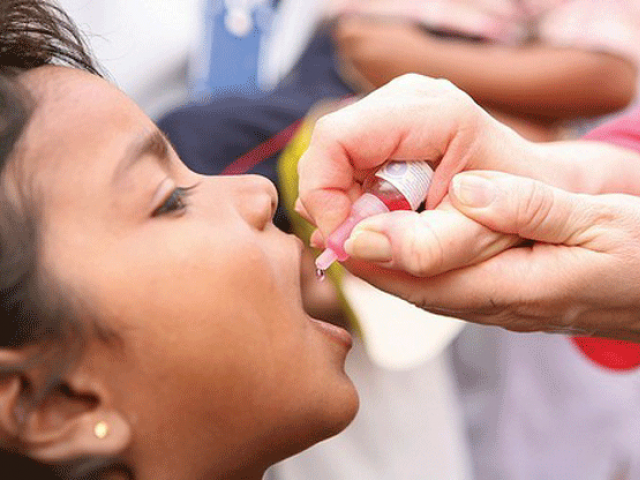 From 2014 until today, new polio cases have dropped by an amazing 99 per cent — from 306 in 2014 to 3 this year. We must sustain these gains in polio eradication and continue to ensure every child is reached in every vaccination campaign,” said the minister. “The progress in polio eradication is a direct result of the collective efforts of our brave frontline vaccination workers, backed by law enforcement agencies, and unprecedented government commitment at all levels. I am pleased to note that the programme is driven by high-quality data and comprehensive, real-time risk assessment and monitoring, which is resulting in better campaign quality,” he added. The minister expressed his commitment to accelerating progress in polio eradication and getting the job done in accordance with the vision of Prime Minister Imran Khan who is keen on ensuring basic health, nutrition, and water and safe sanitation services are available for all Pakistanis. Expressing confidence in the quality, efficacy and safety of the oral polio vaccine, the minister advised the programme to constantly educate people on need to vaccinate all under-five children in every campaign. The minister appreciated the efforts of country team including 260,000 frontline vaccination workers ‘Sehat Muhafiz’ and termed them as heroes striving for health of future generations. “All of us at the ministry support their courage and hard work and we will support their efforts,” said the minister.